New York, NY — A highlight of the 135th Audio Engineering Society Convention, held Thursday, October 17, through Sunday, October 20, 2013, at the Javits Center in New York City, was the second annual Project Studio Expo, presented in association with Sound On Sound. Intended to assist home recordists in approaching their tools, the Project Studio Expo (which saw attendance of over 1,000 people) included presentations by leading industry authors, journalists and educators, including Craig Anderton, Bill Gibson, Mike Metlay, Andrea Pejrolo, Gino Robair, Hugh Robjohns, Mike Senior, Paul White and more. 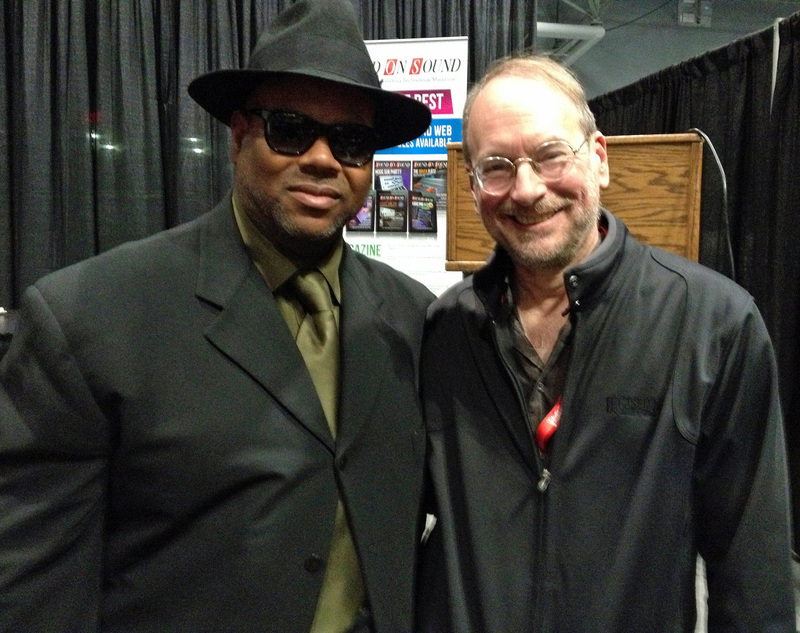 Additionally, Craig Anderton also hosted a Question-and-Answer session on Friday with five-time GRAMMY® Award winner and renowned record producer, songwriter, musician, and entrepreneur Jimmy Jam. The Project Studio Expo was sponsored by Cerwin-Vega, Focusrite/Novation, Gibson Brands, KRK Systems, Onkyo, SAE Institute, Sennheiser, Stanton and TASCAM. AES has a long history serving the recording community, from the early days of monophonic vinyl to today's modern multichannel digital audio formats. With the rise of project studios, many home recordists may be at a loss on how to best use the tools at hand. The Project Studio Expo brought together the top people, tools and techniques, in order that attendees could learn best practices and tricks from the pros; talk to their toolmakers; and listen, learn, and connect with their peers. Topics ranged from acoustics in small spaces to microphone placement, mixing, and mastering. 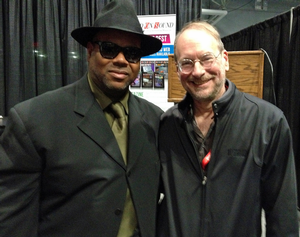 Photo Caption 1: Pictured L-R: Five-time GRAMMY® Award winner and renowned record producer, songwriter, musician, and entrepreneur Jimmy Jam; and noted author, journalist and technologist Craig Anderton.